What Planet In Our Solar System Is Most Like You? Select the answer below which best suits how your friends would describe you. Do you have or want to have children? Do you consider yourself a morning or a night person? How would you describe your taste in fashion? Select your favorite activity from the options below. Do you consider yourself a "people person"? Do you like to spend time with other people? How often do you suffer from indigestion? How important is hydration to you? Do you drink plenty of water? Every planet in our solar system has unique, identifying features. The same goes for every person in our solar system. 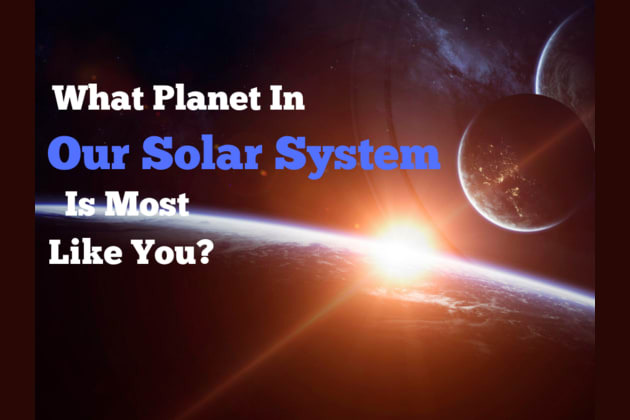 Take this quiz to determine which planet is most like you.